Proteomics approaches are essential to both clinical and basic research to study diseases at protein level and to help understand the underlying mechanisms. Founded in 2004, PPN mission is to enable Necker teams to succeed in their proteomics projects and it is open to research institutes and clinical departments. PPN is part of SFR Necker, and it is also one of two constitutive laboratories of Paris Descartes University proteomics platform (3P5). Since 2011, PPN is a strong partner of the mass spectrometry APHP Necker Platform for the development of innovative translational proteomics approaches. The instrumental park of PPN includes two new-generation mass spectrometers dedicated to high throughput analysis and quantification of proteins. Through its activities of service, collaboration and research and development, the PPN offers state of the art technology and expertise to help understanding disease (PTMs, differential and interaction proteomics) and to develop diagnostic/prognostic clinical tests by MS (translational and targeted proteomics). Chhuon C, Pranke, Borot F, Tondelier D, Lipecka J, Fritsch J, Chanson M, Edelman A, Ollero* M, Guerrera* IC. Changes in lipid raft proteome upon TNF-α stimulation of cystic fibrosis cells. J. Proteomics. 2016 Aug 11;145:246-53. Aoufouchi S, De Smet A, Delbos F, Gelot C, Guerrera IC, Weill JC, Reynaud CA. 129-Derived Mouse Strains Express an Unstable but Catalytically Active DNA Polymerase Iota Variant. Mol Cell Biol. 2015 Sep 1;35(17):3059-70. Guerrera IC, Jeanson L, Papon JF, Chhuon C, Zadigue P, Prulière-Escabasse V,Amselem S, Escudier E, Coste A, Edelman A. Proteomic analysis of nasal epithelial cells from cystic fibrosis patients. PLoS One. 2014 Sep 30;9(9):e108671. Guerrera IC, Quetier I, Fetouchi R, Moreau F, Vauloup-Fellous C, Lekbaby B, Rousselot C, Chhuon C, Edelman A, Lefevre M, Nicolas JC, Kremsdorf D, Lacau Saint Guily J, Soussan P. (2014) Regulation of interleukin-6 in head and neck squamous cell carcinoma is related to papillomavirus infection. J Proteome Res. Feb 7;13(2):1002-11. Jeanson, L., Kelly, M., Coste, A., Guerrera, I.C., Fritsch, J., Nguyen-Khoa, T., Baudouin-Legros, M., Papon, J.-F., Zadigue, P., Prulière-Escabasse, V., et al. (2012). Oxidative stress induces unfolding protein response and inflammation in nasal polyposis. Allergy 67, 403–412. Colas, J., Faure, G., Saussereau, E., Trudel, S., Rabeh, W.M., Bitam, S., Guerrera, I.C., Fritsch, J., Sermet-Gaudelus, I., Davezac, N., et al. (2012). Disruption of cytokeratin-8 interaction with F508del-CFTR corrects its functional defect. Hum. Mol. Genet. 21, 623–634. Nikolov, I.G., Joki, N., Nguyen-Khoa, T., Guerrera, I.C., Maizel, J., Benchitrit, J., Machado dos Reis, L., Edelman, A., Lacour, B., Jorgetti, V., et al. (2012). Lanthanum carbonate, like sevelamer-HCl, retards the progression of vascular calcification and atherosclerosis in uremic apolipoprotein E-deficient mice. Nephrol. Dial. Transplant. 27, 505–513. Guerrera, I.C., Ollero, M., Vieu, D.-L., and Edelman, A. (2011). Quantitative differential proteomics of cystic fibrosis cell models by SILAC (stable isotope labelling in cell culture). Methods Mol. Biol. 742, 213–225. Bouchoux, J., Beilstein, F., Pauquai, T., Guerrera, I.C., Chateau, D., Ly, N., Alqub, M., Klein, C., Chambaz, J., Rousset, M., et al. (2011). The proteome of cytosolic lipid droplets isolated from differentiated Caco-2/TC7 enterocytes reveals cell-specific characteristics. Biol. Cell 103, 499–517. Ollero, M., Astarita, G., Guerrera, I.C., Sermet-Gaudelus, I., Trudel, S., Piomelli, D., and Edelman, A. (2011a). Plasma lipidomics reveals potential prognostic signatures within a cohort of cystic fibrosis patients. J. Lipid Res. 52, 1011–1022. Ollero, M., Guerrera, I.C., Astarita, G., Piomelli, D., and Edelman, A. (2011b). New lipidomic approaches in cystic fibrosis. Methods Mol. Biol. 742, 265–278. Blouin, C.M., Le Lay, S., Eberl, A., Köfeler, H.C., Guerrera, I.C., Klein, C., Le Liepvre, X., Lasnier, F., Bourron, O., Gautier, J.-F., et al. (2010). Lipid droplet analysis in caveolin-deficient adipocytes: alterations in surface phospholipid composition and maturation defects. J. Lipid Res. 51, 945–956. Moriceau, S., Kantari, C., Mocek, J., Davezac, N., Gabillet, J., Guerrera, I.C., Brouillard, F., Tondelier, D., Sermet-Gaudelus, I., Danel, C., et al. (2009). Coronin-1 is associated with neutrophil survival and is cleaved during apoptosis: potential implication in neutrophils from cystic fibrosis patients. J. Immunol. 182, 7254–7263. Guerrera, I.C., Astarita, G., Jais, J.-P., Sands, D., Nowakowska, A., Colas, J., Sermet-Gaudelus, I., Schuerenberg, M., Piomelli, D., Edelman, A., et al. (2009). A novel lipidomic strategy reveals plasma phospholipid signatures associated with respiratory disease severity in cystic fibrosis patients. PLoS ONE 4, e7735. Guerrera, I.C., Keep, N.H., and Godovac-Zimmermann, J. (2007). Proteomics study reveals cross-talk between Rho guanidine nucleotide dissociation inhibitor 1 post-translational modifications in epidermal growth factor stimulated fibroblasts. 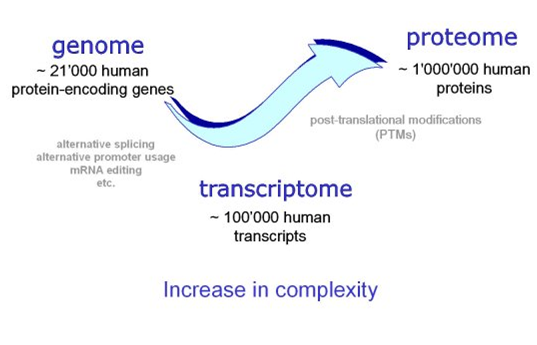 J. Proteome Res. 6, 2623–2630. Bensalem, N., Masscheleyn, S., Mozo, J., Vallée, B., Brouillard, F., Trudel, S., Ricquier, D., Edelman, A., Guerrera, I.C., Miroux, B. (2007). High sensitivity identification of membrane proteins by MALDI TOF-MASS spectrometry using polystyrene beads. J. Proteome Res. 6, 1595–1602. Guerrera, I.C., Predic-Atkinson, J., Kleiner, O., Soskic, V., and Godovac-Zimmermann, J. (2005). Enrichment of phosphoproteins for proteomic analysis using immobilized Fe(III)-affinity adsorption chromatography. J. Proteome Res. 4, 1545–1553. Guerrera, I.C., and Kleiner, O. (2005). Application of mass spectrometry in proteomics. Biosci. Rep. 25, 71–93.